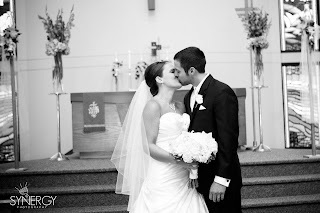 This sweet couple celebrated their wedding with a ceremony at Chapel of the Cross in St. Peters and a reception at Ameristar. 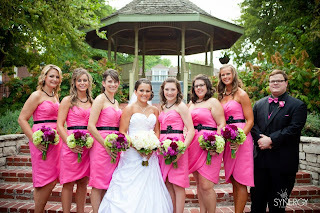 Bold pinks and black were the order of the day. Photography by Artistic Soup. 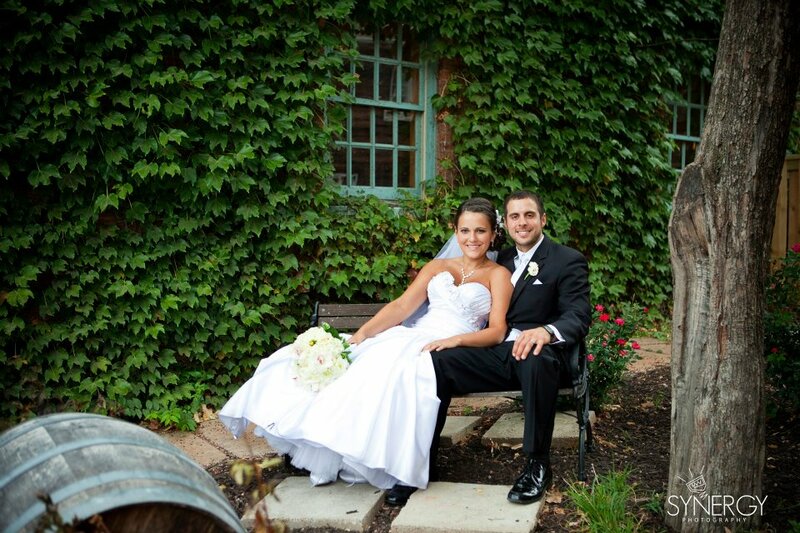 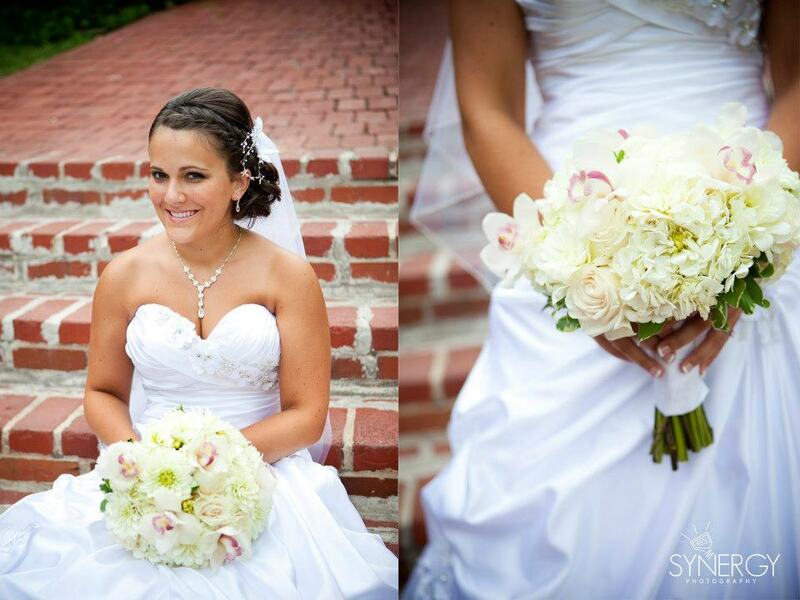 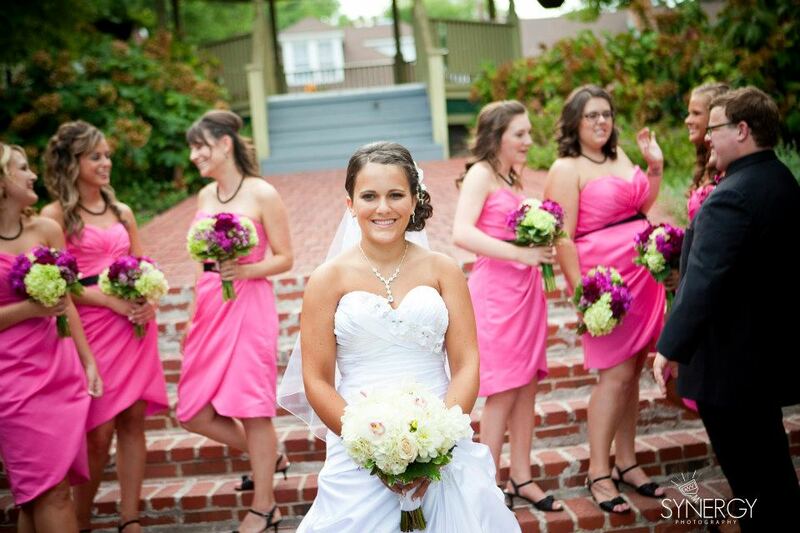 Cassie’s bouquet was a very romantic mix of white flowers. 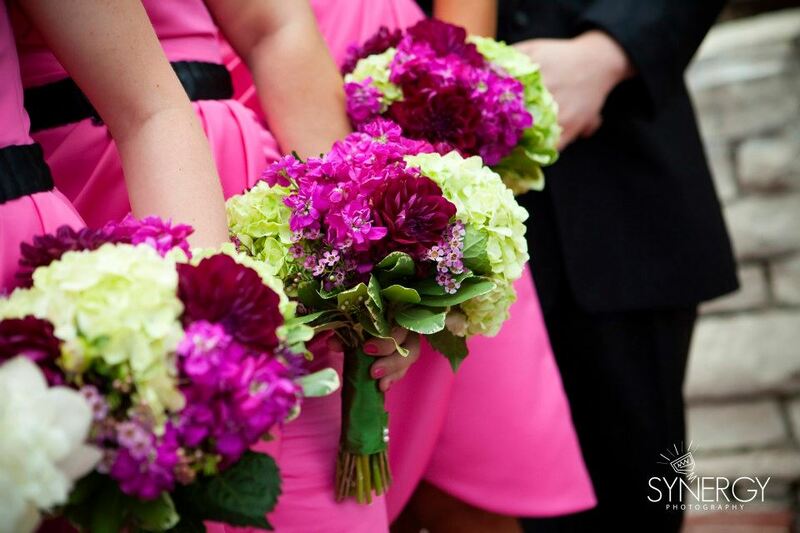 The barely pink throats of the cymbidium orchids are a perfect balance to the bold pinks used throughout the day. 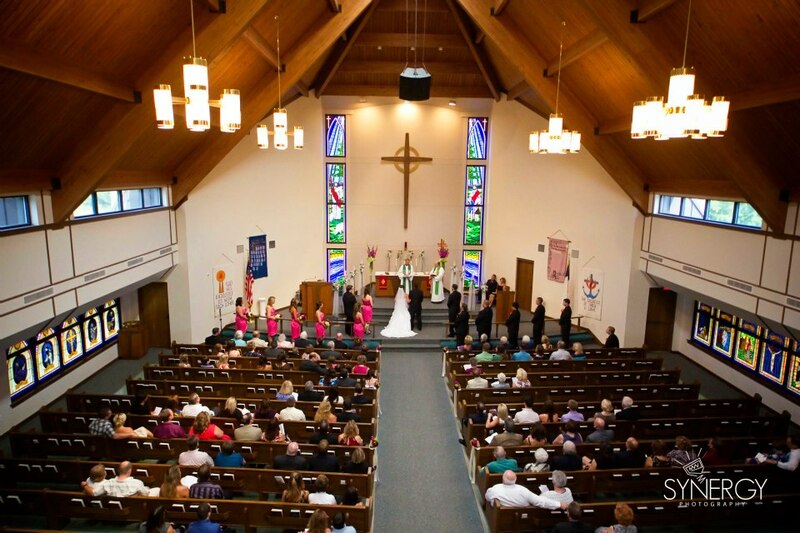 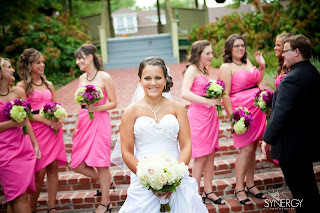 Shades of dark pink and green complimented the pink of the bridesmaids’ dresses. The ballroom at Ameristar featured pink lighting and bold pink and green flowers. 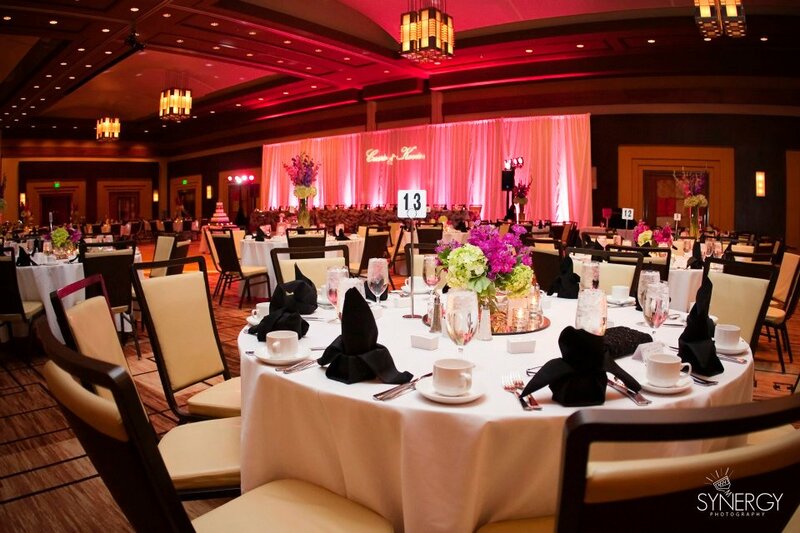 Special thanks to the team at Cosmopolitan Events for helping coordinate a great day! All the best to Cassie and Kevin!